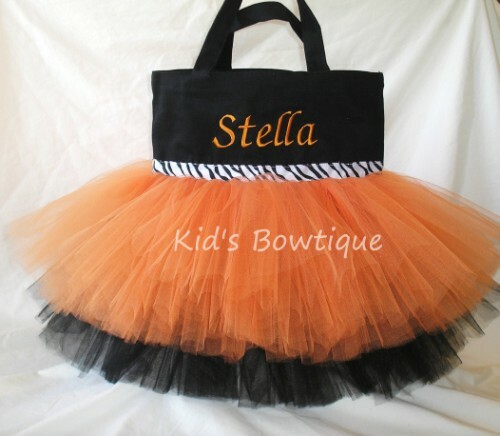 This orange and black tutu tote bag is perfect as a Halloween trick or treating bag! Black canvas bag is approx. 13 X 13 X 3 (or also available in 10X9 size). This tutu bag has an extra full double layer tutu of orange and black tulle for uniqueness, black zebra print ribbon for color, and orange thread embroidery for personalization!